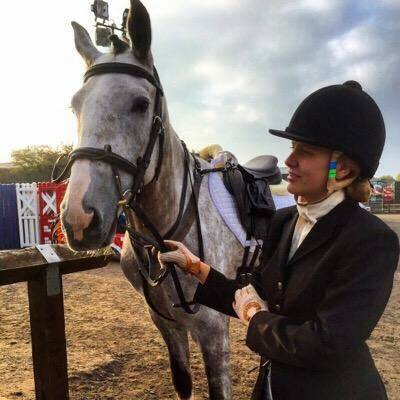 When I first started TeamTunnahEventing.co.uk I focused only on storytelling of my days out eventing. However, as the years have progressed, this authentic & personable story has expanded into the products & services that we use in our every day equestrian life. I have been fortunate to work on a number of different equestrian products over the last few years, producing blog posts and social media content to support the objectives from each individual brand that I have collaborated with. My content remains friendly, personable & genuine while keeping a professionalism to represent a brand. To find out more information about how we can work together, including key statistics on my blog & social media, please download my latest media kit. I create completely bespoke content & promotional packages for each collaboration to make it personal to the brand & what its objectives are. So please, if you have any questions, you can either email me directly on sophietunnah@gmail.com or complete the contact form below. Over the last two years, my creative writing & social media style have been recognised & I am proud to have been listed within Feedspot's top 10 UK dressage blogs, top 25 equestrian blogs & within the top 100 equestrian blogs worldwide. In October 2016, I also won Hayet's Equestrian Blogger of the Year, as well as being shortlisted in 2017. Outside of the equestrian blogging community, my awards extend to a Blogger Recognition Award in the Pet category, as well as a nomination for a UK Blog award in 2017. If you want to get in touch, please use the form below. Your email address will only be used by Team Tunnah Eventing in response to the message you submit. It will not be stored or passed to any third parties.